LAWTON, OK (TNN) - There is a threat of severe storms tomorrow from late afternoon into the evening. Mostly cloudy and windy this evening with temperatures around 70 by 9PM and lows in the low 60s. Partly to mostly cloudy tomorrow, warm, and a bit humid with high near 80. A dryline will setup in central to western Texoma during the mid afternoon through the evening. Scattered severe storms may develop off this dryline, especially in the I-44 to Hwy 81 corridors. While anytime after 3PM is possible for severe weather, the best chance will be from 6-10 PM. The top threat will be very large hail up to tennis ball size and damaging wind gusts to 70 mph. There is a low tornado risk. While a few showers & storms could linger into the late night, the severe risk will be lower. Skies will clear on Thursday but it will be cooler with highs in the upper 60s to 70 and gusty northwest winds. Sunny and nice Friday with highs in the mid 70s. Easter weekend will be warm with some clouds moving in Saturday night into Easter Sunday. Highs in the 80s and lows 60 on Easter Sunday morning. A nearby front could spark a few showers and storms late Sunday night and into early next week. 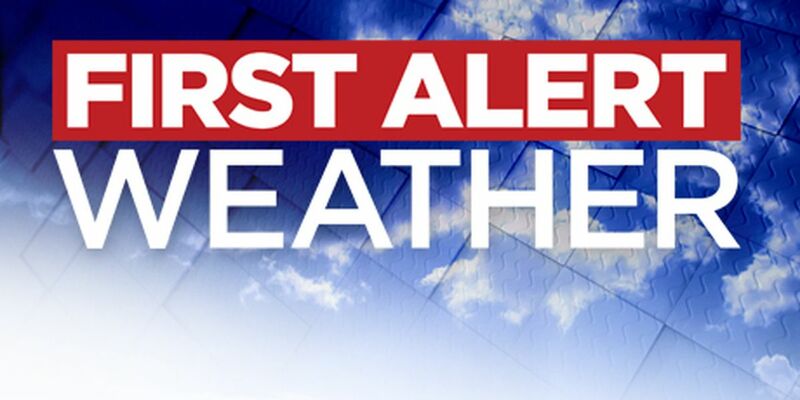 Be sure to stay with the First Alert 7 Weather Team for more on tomorrow’s severe weather threat. Have a great evening!